Aberdeen continued their fine form by strolling to a 4-0 victory over 10-man Ross County to stay second in the Ladbrokes Premiership. Goals from Jonny Hayes, Shay Logan, Niall McGinn and Jayden Stockley gave the Dons their fourth successive league win and fifth on the trot in all competitions. 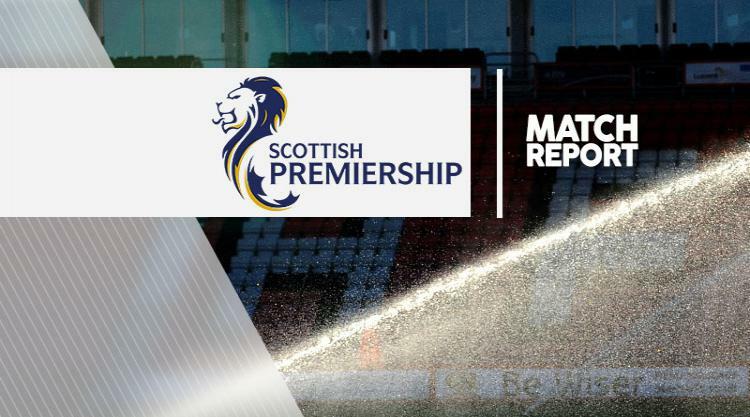 It was a one-sided affair at Pittodrie, particularly after County midfielder Tim Chow was sent off after just 22 minutes for a reckless challenge on Hayes. The hosts created a stack of chances, although slack play by Kenny McLean gifted Ross County a 12th-minute opportunity. McLean's pass was intercepted by Craig Curran, who strode forward but his shot from 16 yards out lacked conviction and Joe Lewis made a comfortable save. After that scare Aberdeen quickly got into their stride and Adam Rooney ought to have scored in the 18th minute when he sent a free header over the crossbar from a superb McGinn cross. With the pressure building, the Dons made the breakthrough in the 20th minute when Hayes burst into the box and smashed an angled shot beyond Scott Fox and into the far corner. In a costly two-minute spell for the visitors, Chow was then dismissed, the former Wigan midfielder given a straight red card for a two-footed lunge on the lively Irish winger. An uphill climb became a mountain for Jim McIntyre's team when Logan added a second for Aberdeen in the 31st minute. The Englishman was handily placed at the back post to tap in the rebound after Fox had pushed out Graeme Shinnie's shot. The woodwork was rattled at both ends as half-time approached, Hayes striking the crossbar with a curling free-kick and Michael Gardyne doing likewise for County with a well-struck shot from inside the box. Fox did his best to keep the score down with some smart second-half saves, but he was helpless in the 68th minute when McGinn finished off a neat move to lash the ball home from 14 yards. Stockley came off the bench to complete the scoring in the 78th minute, the big striker shifting the ball on to his left foot and drilling a low shot inside the far post from a Hayes lay-off. For the second game in a row, Aberdeen had registered a four-goal victory. The ideal tonic ahead of next week's League Cup semi-final against Morton.